This is the place where you get information about the high performance electrically powered, two seated aircraft e-Genius. In 1919 the Australian government offered a prize for the first aircraft to fly from London to Darwin in under 30 days. Six parties rose to the challenge in specifically designed aeroplanes to fly from England to Australia. And now there is the announcement of the recurrence of this historic race. Exactly 100 years of development in aviation later, we’re facing once more a new technology that is an early stage to be proven in a tough and realistic setting. 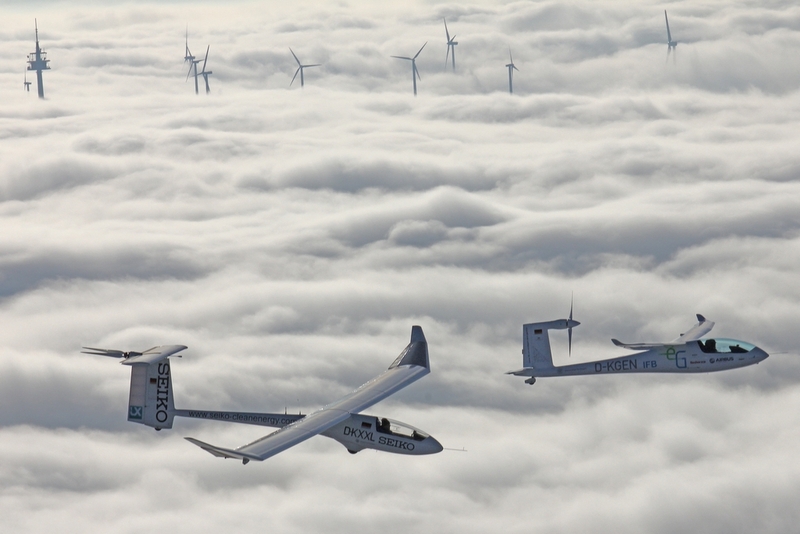 A few categories around electric propelled aircraft are allowed to participate in this “Great Air Race”. The truly great thing about this is that the organizers are committed to hold the race in the same spirit as the original and also kept the original route. That is 17000 km to the other end of the world! We’re proud to announce that we’ll be preparing for this challenge that is to be held at the end of next year. We’re currently working on the implementation of our hybrid propulsion concept into the aircraft and try to get it airworthy as soon as possible to have enough time to get enough experience for such a big challenge. The aircraft will feature unprecedented efficiency which is the most important requirement of the competition. We’re now commissioning the new battery system, working on the propulsion system and redesigning the primary controls to be able to install all necessary components. So it looks like there is still a long way to go, but we keep ourselves busy. To be able to do this we’re currently looking for a sponsor to help us making this race possible. So if you’re reading this and would like to make it happen, we’re happy to hear from you. The technology involved will help us advance the way to a more sustainable future of aviation. 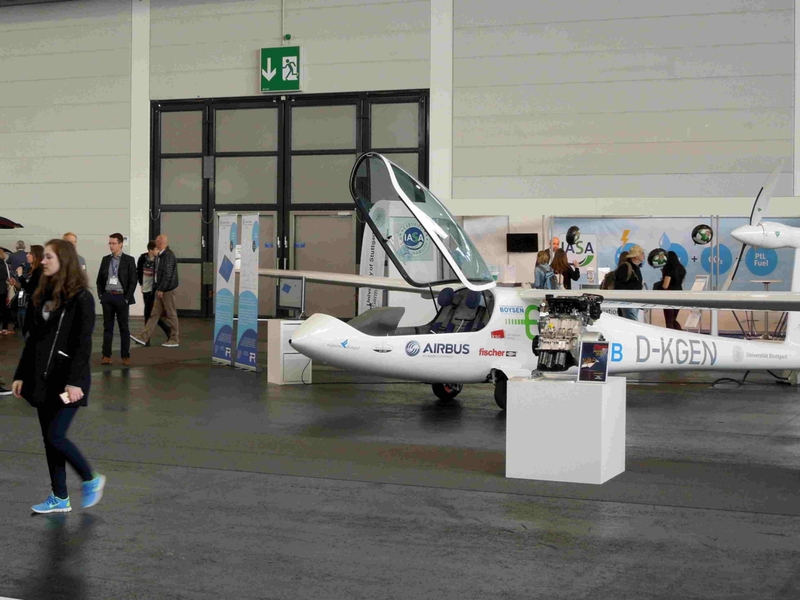 Read here the interview with Prof. Andreas Strohmayer about the status of the e-Genius project and the possibility of electric short range passenger aircraft. 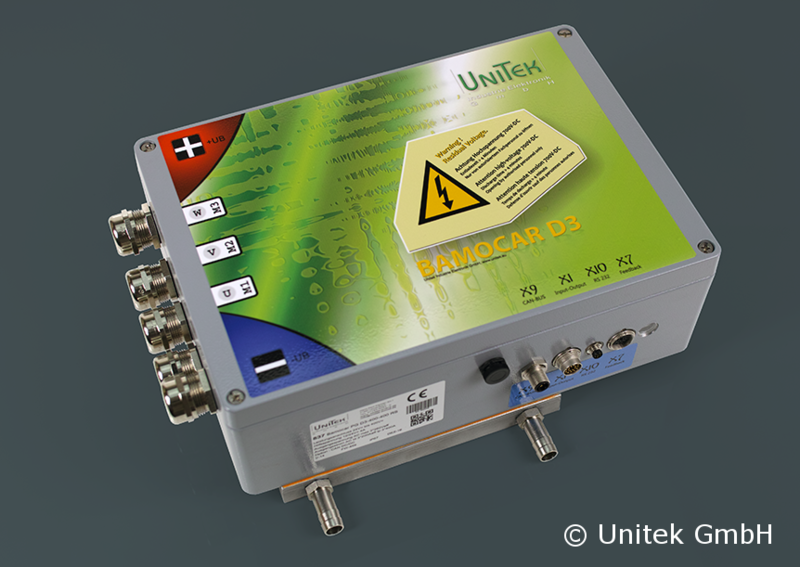 Last week we had the chance to work together with Unitek, the manufacturer of the power converters that we use. The company is located in Leutenbach, so it’s just a 30min trip from campus – a surprise we waited that long! First, two experts came to our site to visit and see our electric propulsion test bed and the hybrid system test bed in action. They were able to fine tune all internal control parameters implemented in the power electronics to ensure smooth operation. Incidentally, they found an issue in the signal path and kindly offered us to take our setup to their facility to look at the problem. On their site, we could mount our controller and motor on the dynamometer and look at all the signals. With this approach, it was possible to find the error and solve the problem. We would like to thank the whole Unitek team for their support and for teaching us so much about what we, the aircraft guys, all too often see as a “magic box”. Also we’d like to thank for the possibility to visit the company and look at the development and series production of a wide product range of power electronics. We didn't have much news for you lately - the reason was that we were busy in designing and building our new hybrid electric propulsion chain, which is now ready for ground tests. We are using our very efficient diesel engine to drive a generator in order to produce electric energy for the e-Genius. To complete the propulsion system we got another electic motor and a new propeller. Many thanks to MT-Propeller once more for supporting us and for developing this three blade propeller. With this setup, we're able to validate the whole system before we integrate it into the e-Genius. Ground testing is much better in this kind of weather we have now. As you'll be able to hear in the video, it's quite noisy with the two test beds in operation but most of it originates from the propeller, which will be much quieter in cruise flight. We're still trying to keep electric flight low emission which definitely includes the noise for us.Putting everything you can see into the aircraft is a whole different story, but we're on it. So fly safe, stay tuned and maybe meet us at the AERO Expo in two weeks! 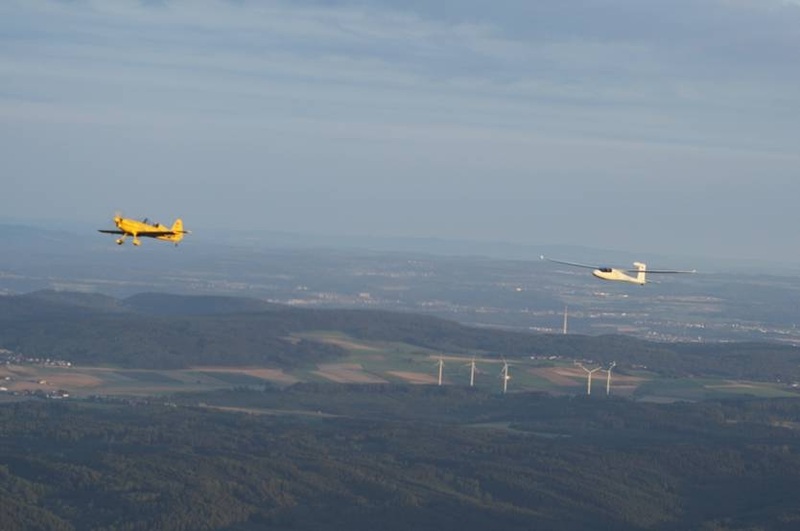 Last weekend we were invited to the ”Smartflyer Challenge“, a fly-in for all manned electric flight projects brought to life for the first time in Grenchen, Switzerland. 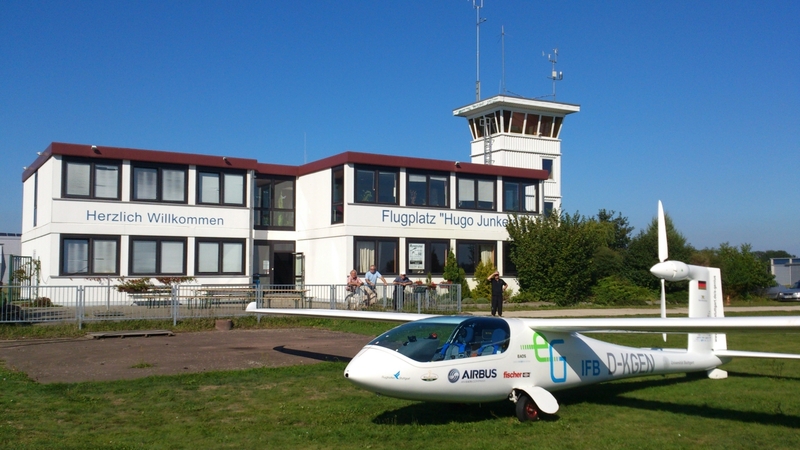 We were happy to accept that invitation and the weather was good enough to fly in on Friday as the first electric aircraft ever to land at the airport. 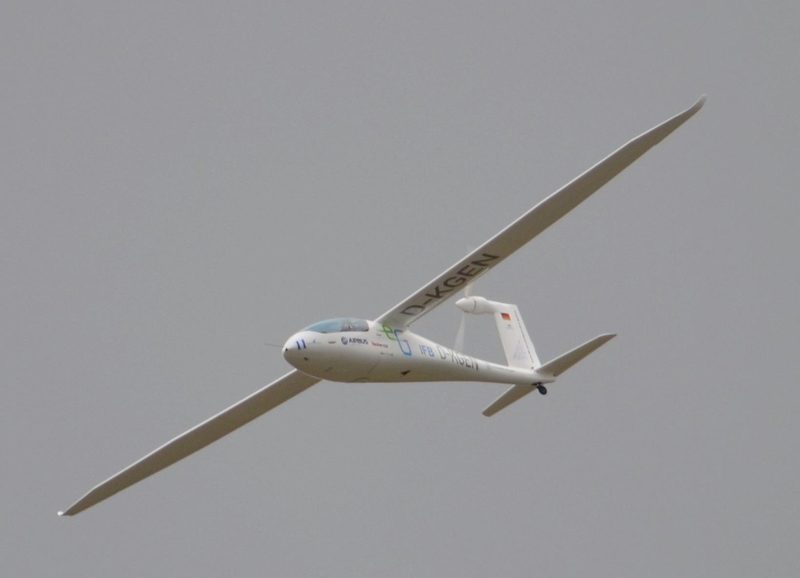 Lots of teams from all over Europe joined us that day and the next from electric hang gliders, trikes, to sailplanes and small airplanes together with visitors enthusiastic about the future of our air travel. On Saturday the weather was rather rainy but we found a few short windows to demonstrate our e-Genius in flight over the airport. In addition to the flight program, lots of interesting talks were held in the conference room, speaking about new projects, the certification process and new technology that may find the way into our future developments. Sunday brought great weather for flying and we took the opportunity once more. 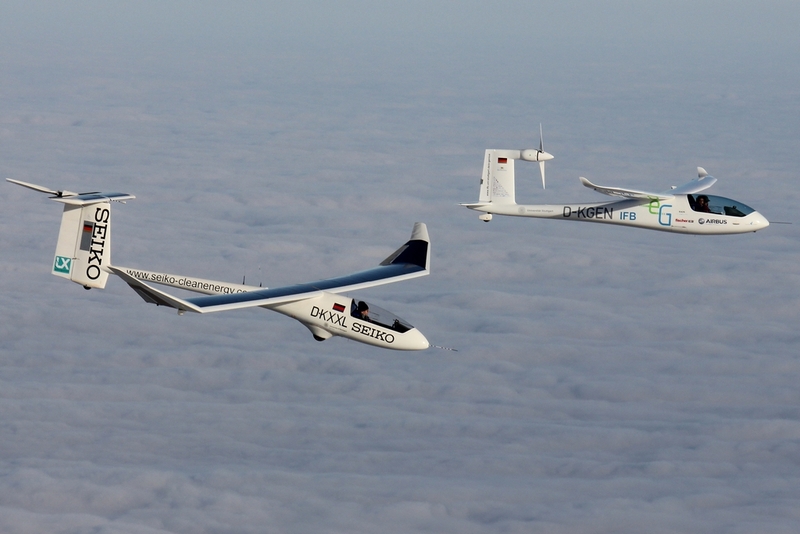 The highlight was a formation flight of three electric planes (a world first) of the Magnus eFusion, the electric phoenix and us. We certainly felt a joined European spirit when we departed on that flight with a Hungarian, a Czech and a German airplane, filmed by a French photographer in Switzerland. 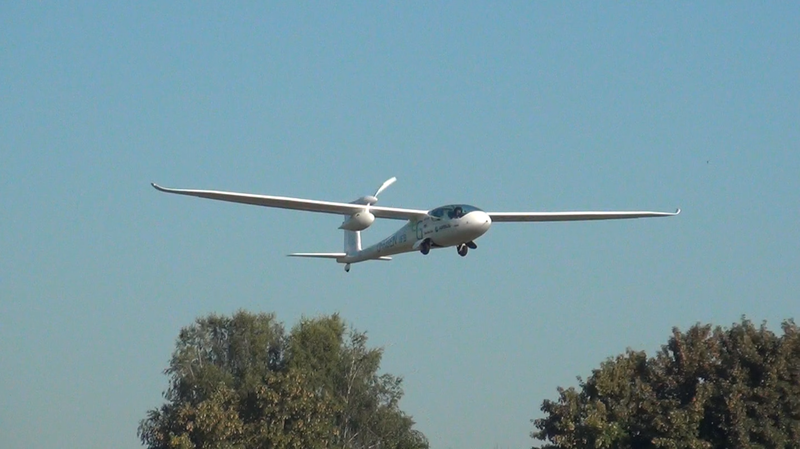 Also, the second aircraft of the University of Stuttgart was on-site and caused quite a stir by showing that the September sun is enough to charge the batteries, self-launch and fly around with the 20 year old Icaré II. We want to thank the organizers for the great event, the Grenchen airport for smooth cooperation and our aircraft for being reliable and practical enough to fly home again the same day without any issues. We would love to come back next year to the second Smartflyer Challenge on September 1-2 with even more electric aircraft and ideas in this prospering environment. 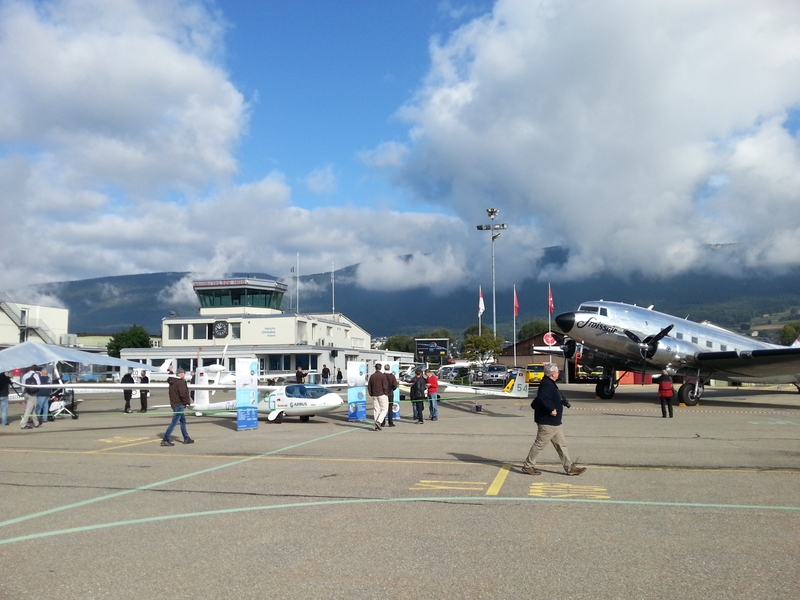 We had a great Expo last week at AERO Friedrichshafen. 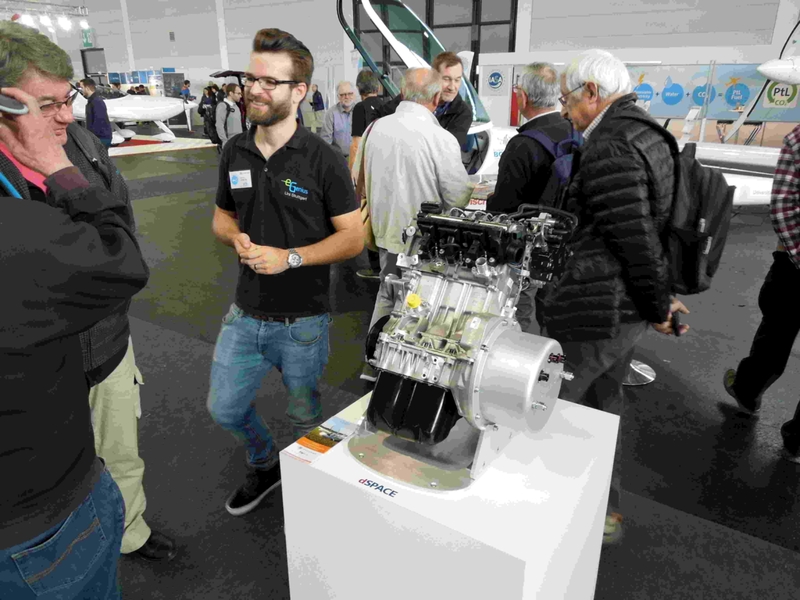 As part of the e-flight-expo, we were able to show the current status of the aircraft and some new developments as our diesel-electric hybrid solution for the e-Genius and the Eco4. 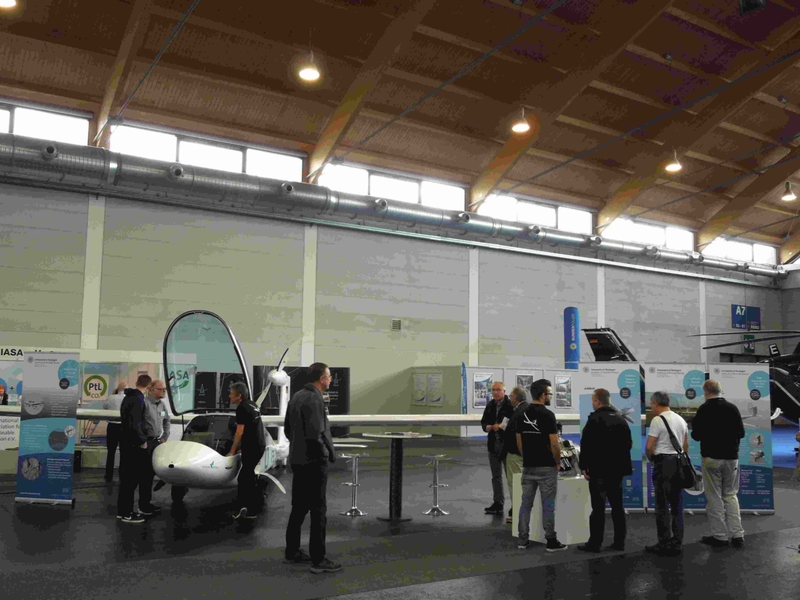 The rest of the e-flight-expo also had some great new concepts and products for the trend of electric flight that has become more and more accepted by the general public. We want to thank our colleagues and friends for their effort and for helping each other out in this still small community. The day of the flight show was blessed with good visibility and none of the electric prototypes showed any sign of stage fright in front of a very intrigued audience (in contrast to their conventional counterparts). The airshow included some great aircraft like the Klemm 25, the T-6 Texan and the SIAI Marchetti and for the electric flight display the Magnus eFusion, the Extra 300 Elektro, the Antares 23E and - of course - the e-Genius. This is the first event ever with a dedicated electric part of the show, which makes us excited about how this movement will develop in the near future. New develpoments will be presented! Come and visit us in hall A7 (see map). 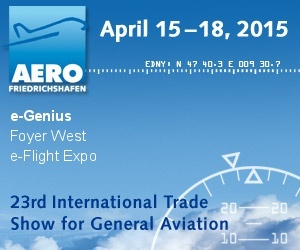 As a highlight e-Genius will participate in an air show on Saturday 8th April celebreating the 25th aniversary of Aero. The air show will begin at 11 o'clock. We are looking forward to seeing you! 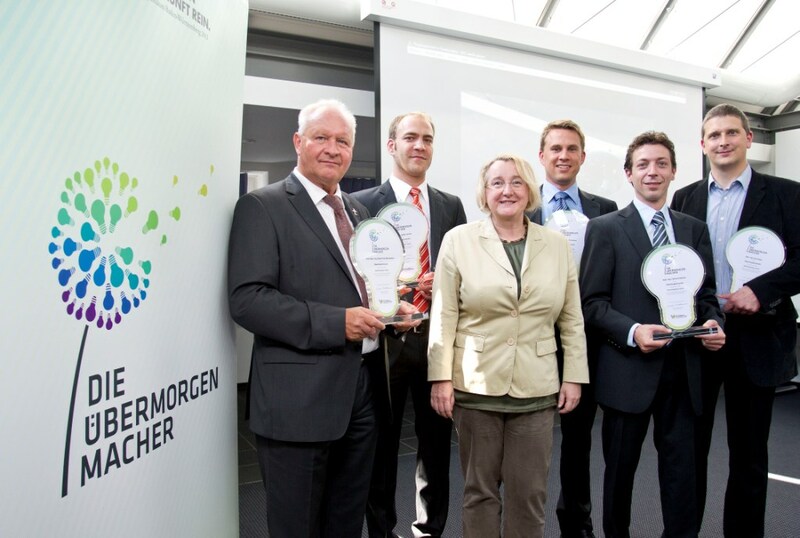 Gunter Czisch, mayor of Ulm, awarded the prize to a team of the Institute of Aircraft Design. 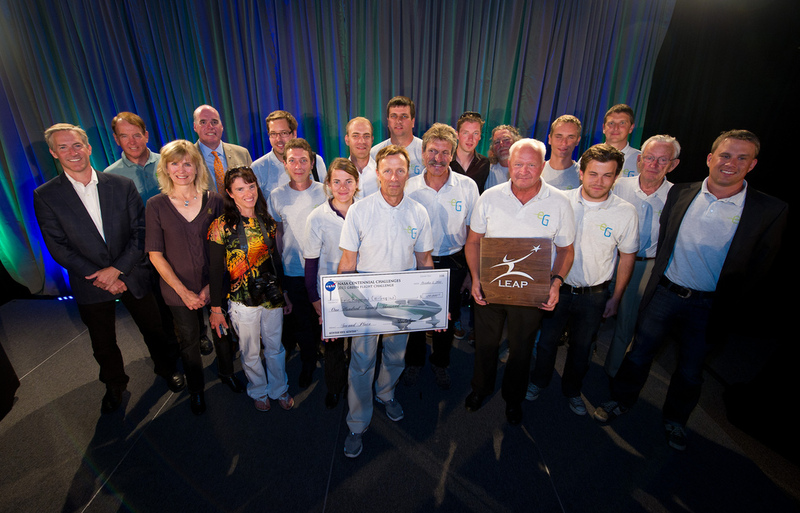 The prize money of 23.000€ will be invested directly into the further development of the airplane. 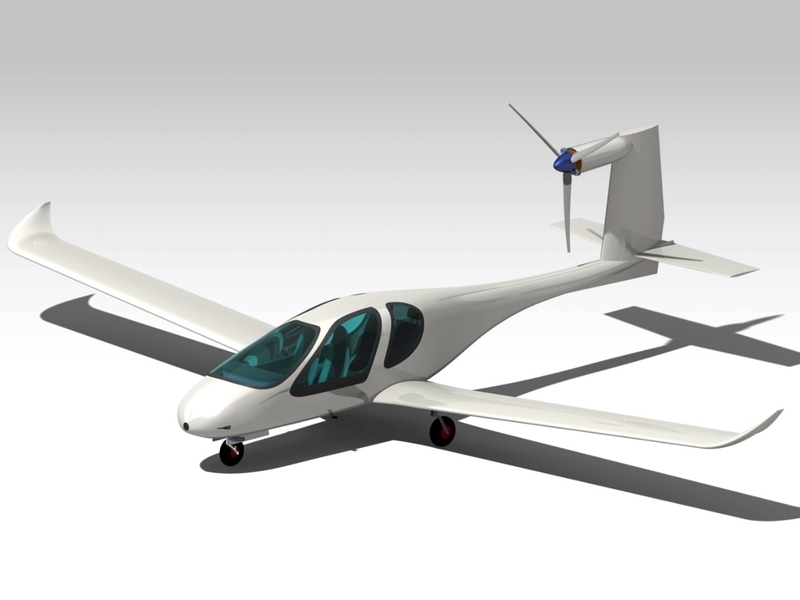 ECO4 is an efficient, four-seater airplane with a cruise speed of 120 knots, which consumes 40% less fuel than modern, conventional airplanes. This is achieved by combining an optimized fuselage with an efficient hybrid-electric propulsion chain. A small but powerful battery system enables a silent take-off without the combustion engine running and resulting in less noise emissions. With four persons on-board the airplane has a range of 1200 nm. A special focus was put on the practicability of the ECO4 by meeting common requirements regarding take-off distance, climb rate and approach speed. The described principle could also be applied to commuter airplanes making them more efficient and less noisy. ECO4 – on one hand, the name reflects the four seats of the airplane. On the other hand it stands for the square of the product of ecology and economy. The prize money is the starting signal for the team to begin the development of components for the ECO4 project. As a first step the newly designed propulsion chain will be built and tested on ground. The Berblinger prize was founded in recognition of Albrecht Ludwig Berblinger, who tried to cross the river Danube in 1811 with a glider. 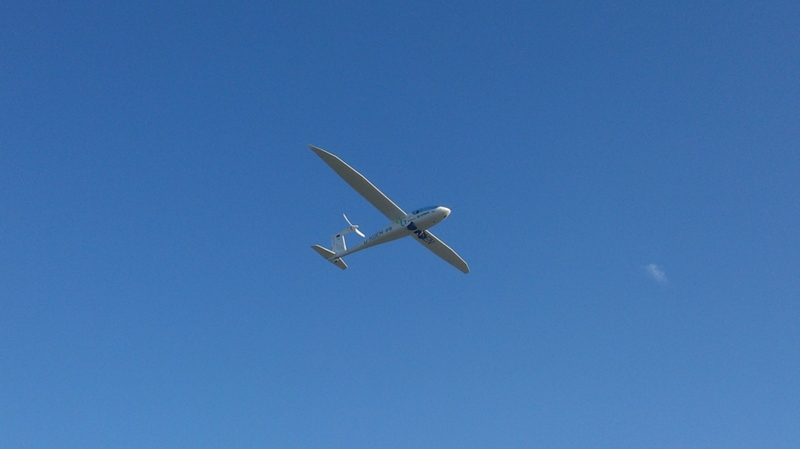 The glider was capable of flying but crashed due to severe turbulences. 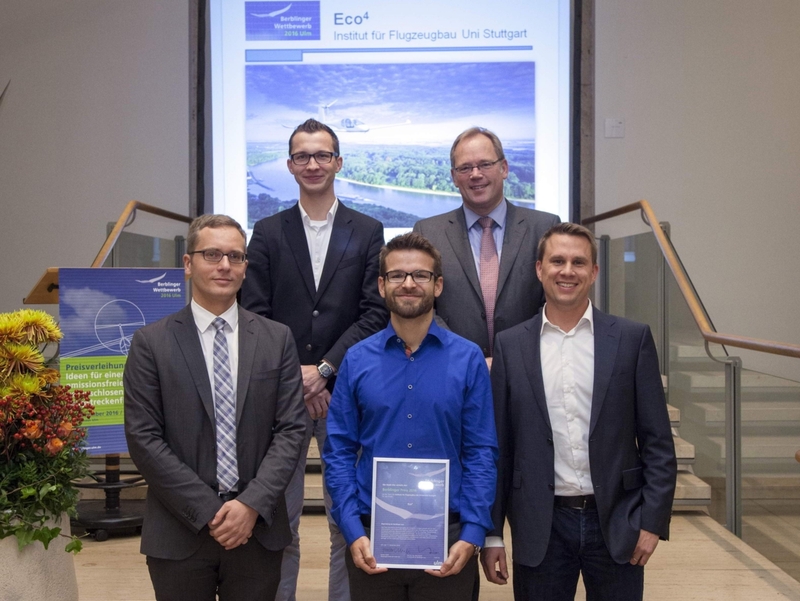 With the price the town of Ulm is awarding innovative ideas in order to enable eco-efficient long-distance flights. The jury consist of 16 members from aerospace industry, universities, research institutions and representatives of the town of Ulm. 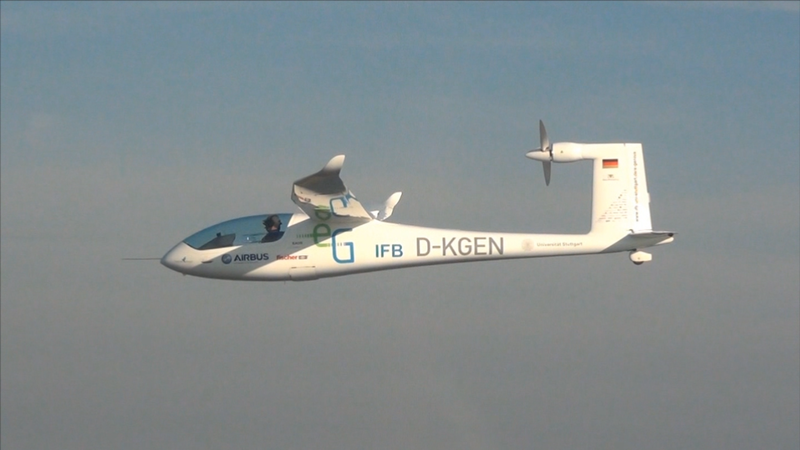 With the e-Genius hybrid a highly efficient electric airplane suitable for long distance flights is realized. Ranges up to 300 km can be covered solely by the battery system - ranges up to 1000 km are possible with the range extender. That’s the direct flight from Stuttgart to Barcelona. With e-Genius hybrid most flights of a typical user case can be done in the cost and energy efficient battery mode - for all longer flights the range extender can be used. 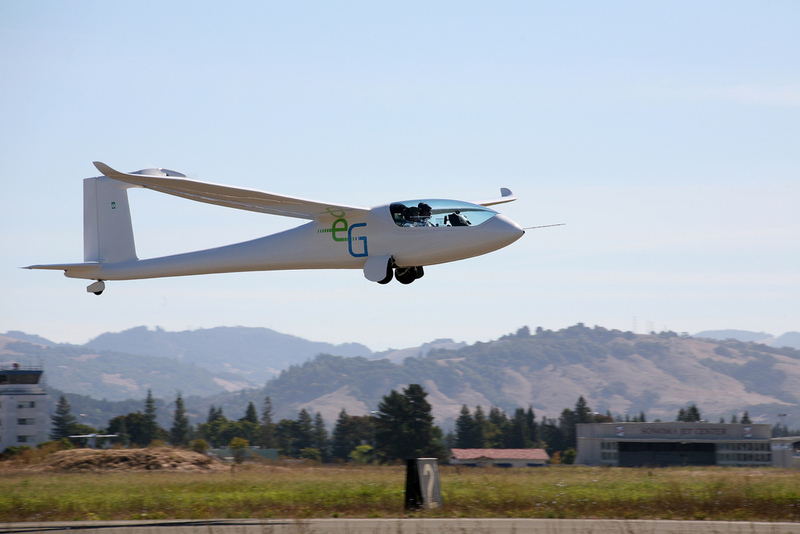 e-Genius hybrid is realized as a serial hybrid electric aircraft. Apart from the battery system a Wankel engine drives a generator and delivers additional electric energy. The whole range extender system is installed in a pod underneath the right wing and can be added or removed easily from the aircraft. The control of the generator system is done fully automatically - no pilot input is needed. Even if the pilots desires to reach the destination with a certain amount of battery energy on-board, the system will arrange it with the "look-ahead" feature. 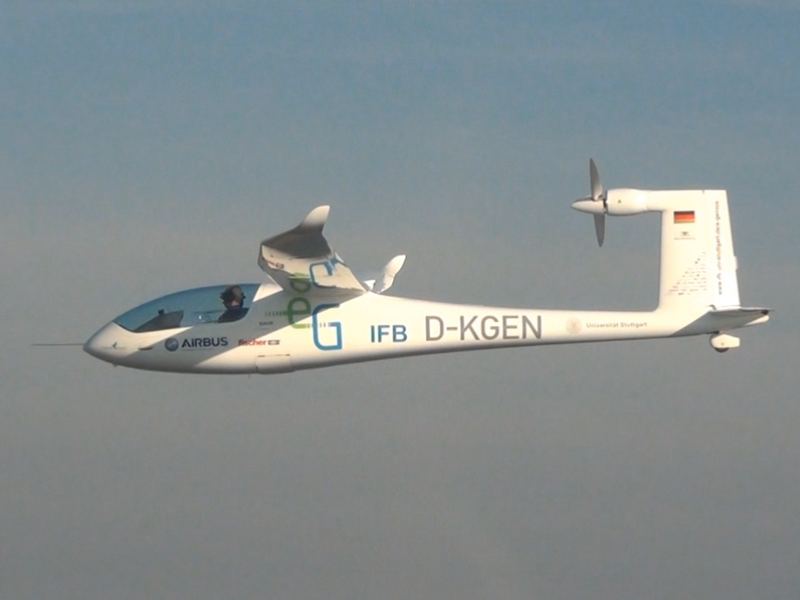 With e-Genius hybrid the take-off is done on battery power - the combustion engine is switched on in cruise altitude. Therefore the noise emission in the vicinity of airfields is considerably lowered! 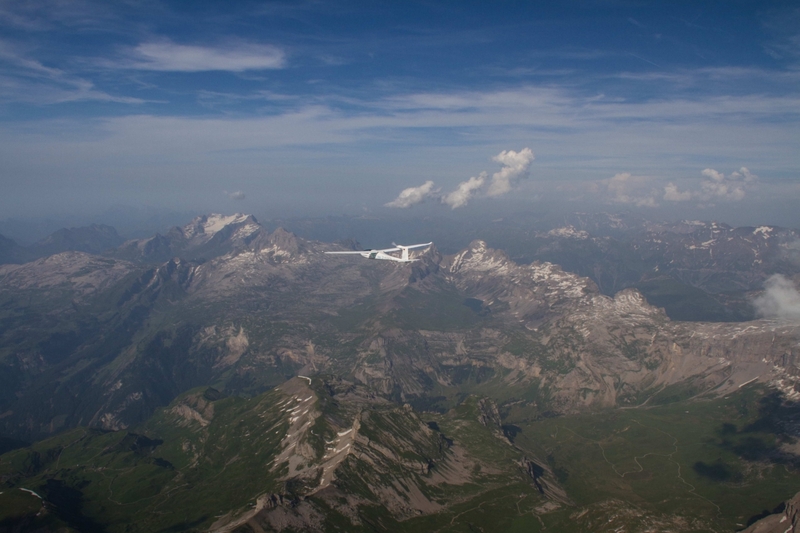 e-Genius showed the practicability of battery powered aircraft with a spectacular flight over the Alps. A milestone towards an energy efficient and carbon-neutral aviation has been reached. 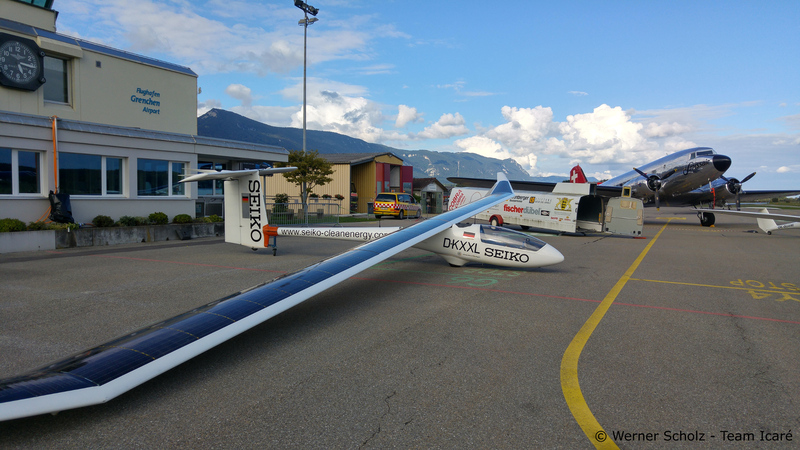 Saturday morning, the electric aircraft “e-Genius” flew from the airfield Hahnweide near Stuttgart over the Alps to Italy. 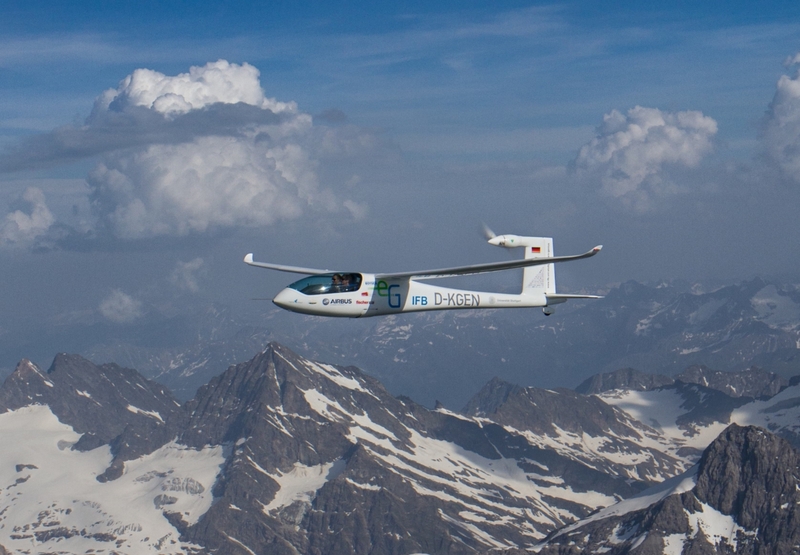 On its way to the north-Italian airfield Calcinate del Pesce, the hi-tech aircraft had to cover a distance of 320 km and climbed to an altitude of 4000 m in order to pass the Swiss summits safely (click here for details). 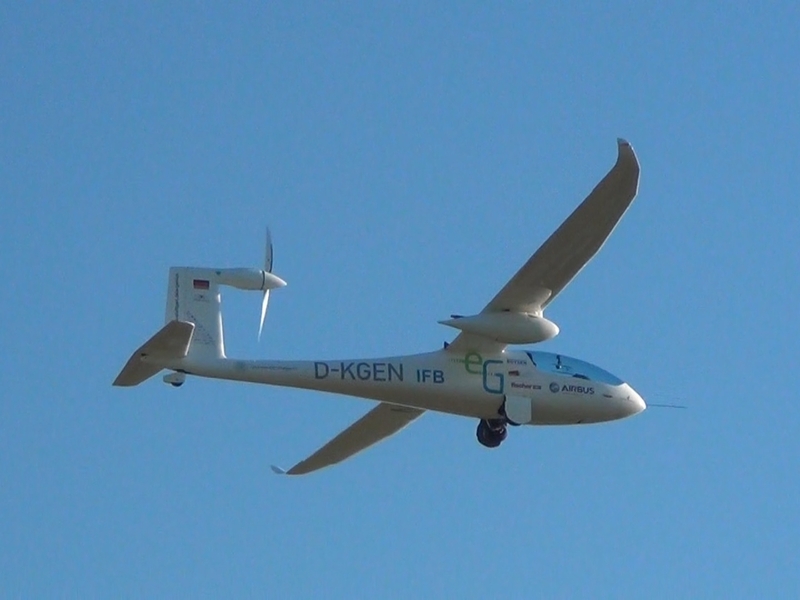 e-Genius was flown by the experienced record pilot Klaus Ohlmann and Ingmar Geiß of the University of Stuttgart. The aircraft arrived at its destination airfield in little over two hours. 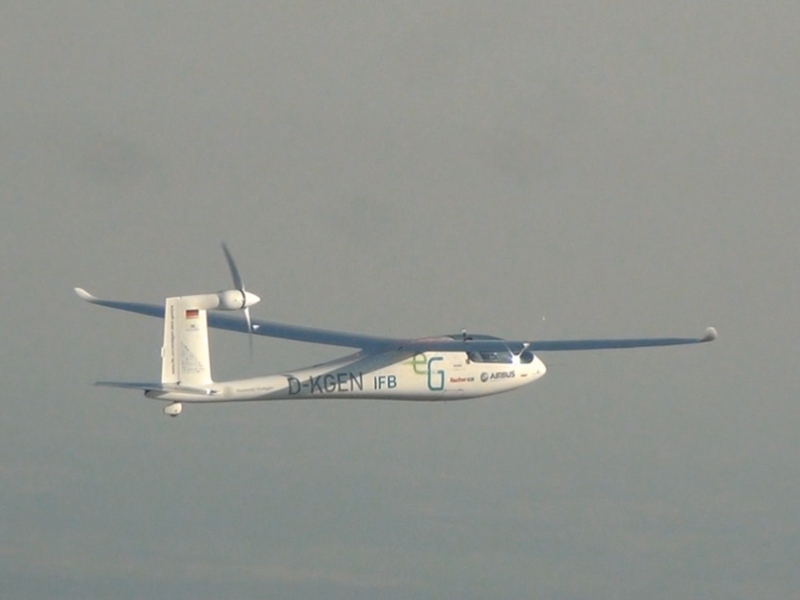 On the same day, the batteries were recharged and e-Genius headed back to Stuttgart in the afternoon. This was a particular challenge because of the steep profile of the Swiss Alps. In order to have enough time to climb, a flight path through the Gotthardpass was chosen, which meant the aircraft had to cover an even longer 365 km distance back to Germany (details). 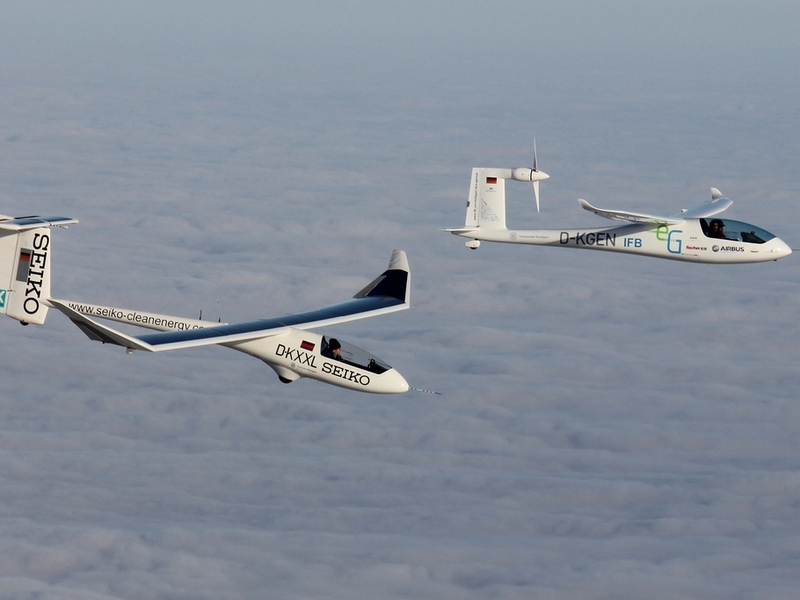 Besides the lack of carbon and noise emission, the energy consumption of the flight showed the huge potential of the new aircraft technology: for both flights combined, only 83 kWh were needed, the energy contained in 9.2 l of fuel. This leads to a total energy expense of only 21€ for the whole trip, assuming current electricity prices in Germany. 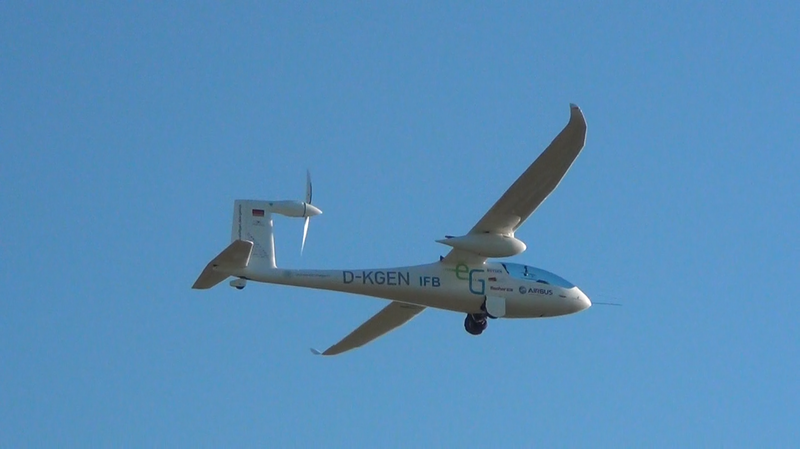 The electric aircraft e-Genius was developed at the University of Stuttgart and is in a flight test program since May 2011. The goal of the project is the investigation of new propulsion technologies and aircraft configuration in order to minimize energy consumption as well as the carbon and noise emission of future aircraft. 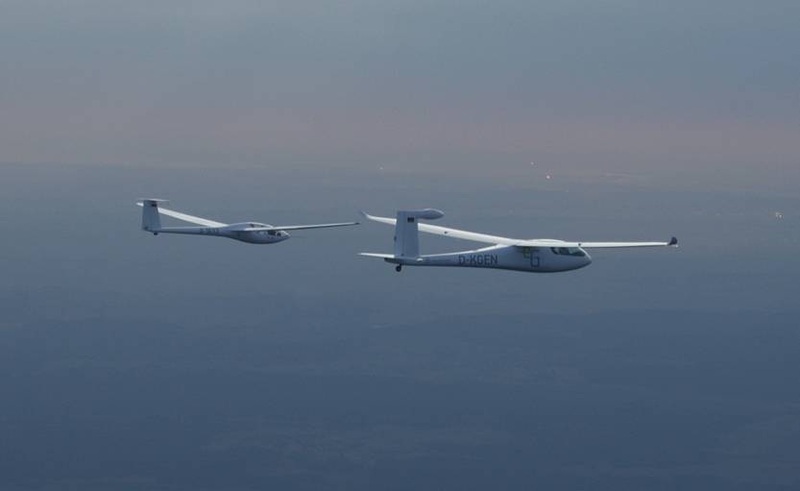 This historic flight was only possible with the support of the Aviation Association of Baden-Wuerttemberg as well as the glider clubs Wolf Hirth and Aero Club Stuttgart. Exiting news and new developments will be presented! Come and visit us in Foyer West (between "Eingang West" and "A1", see map). We are looking forward seeing you! 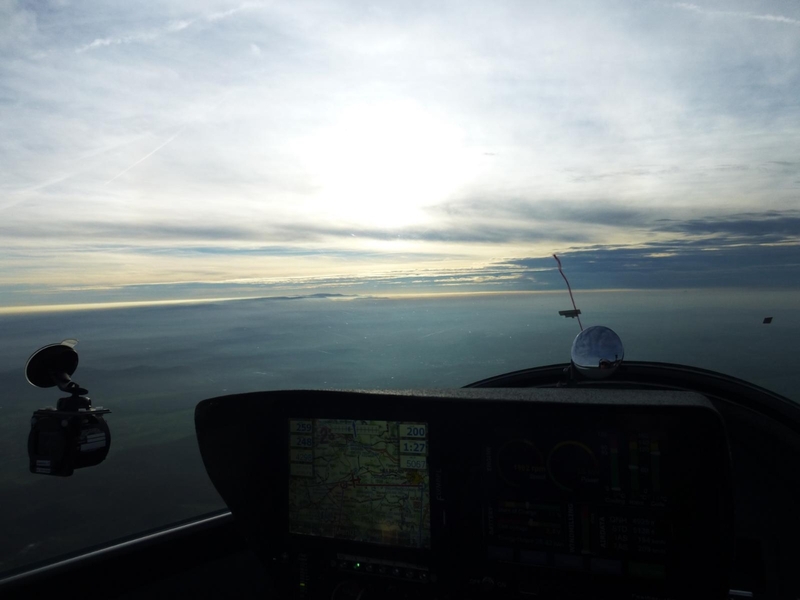 The German weather in November isn’t famous for its perfect VFR conditions but this year there are some quite good days. So we used one day with a nice inversion to test the e-Genius motor at higher power in horizontal flight and flew a 100 km rectangle – and we needed less than 30 minutes. 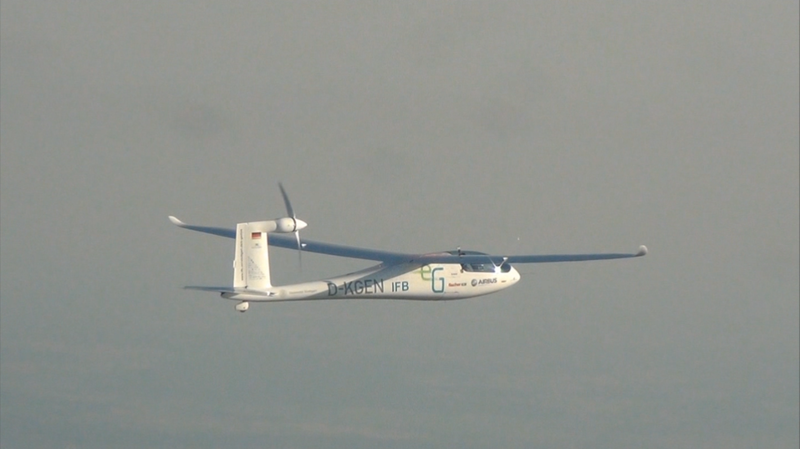 We achieved 213 km/h average speed with our battery powered airplane. It was only a test flight therefore it isn’t an official record but we are very proud to share this flight. If you would like to have a closer look to this flight you can open the *.kmz file in google earth! Experienced hands plus a high-performance airplane plus one week equals seven world records. Admittedly, this equation is not quite mathematic but in case of Klaus Ohlmann and the e-Genius, it is true. 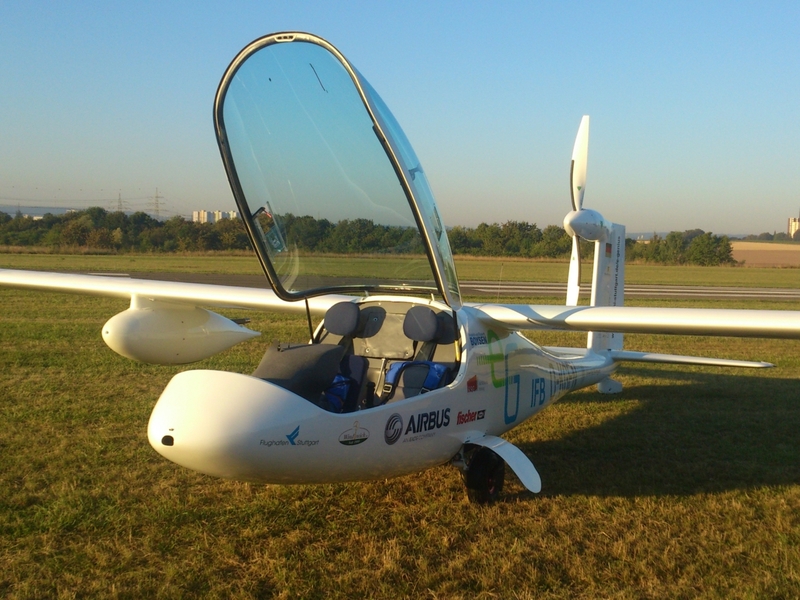 The airplane spent the third week of July in Seeres – La Bâtie, France where Klaus Ohlmann achieved stunning seven FAI ( Fédération Aéronautique International) World records in the Category of Electric Airplanes. While using only 25kWh for 180 km, Klaus managed to shoot some impressive footage, which we are excited to share with you. 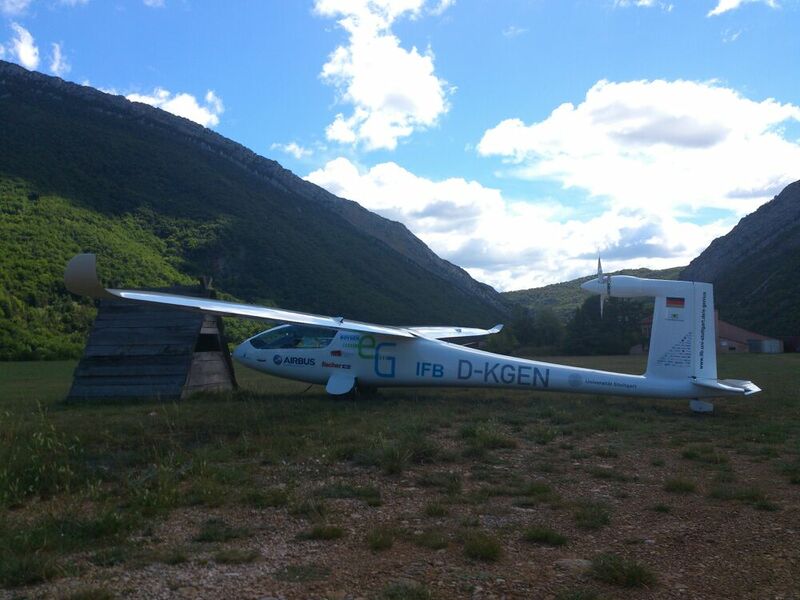 World record pilot Klaus Ohlmann, who piloted the e-Genius at the NASA Green Flight Challenge and the Green Speed Cup, is evaluating the gliding performance of e-Genius in the alps. After the record flights last August where the aircraft demonstrated its motorized flight range of > 400 km, we are now looking into what is possible with the support of thermals, winds, etc. With the clean and efficient airframe we are expecting spectacular flights! Both manned aircrafts of the Institute of Aircraft Design (IFB) fly simultaneously and side by side for the first time! The two aircrafts flew at the same speed in formation. It is awesome that flight formations of aircrafts with different wing loadings such as 15 kg/m² (icaré 2) and 65 kg/m² (e-Genius) are possible. 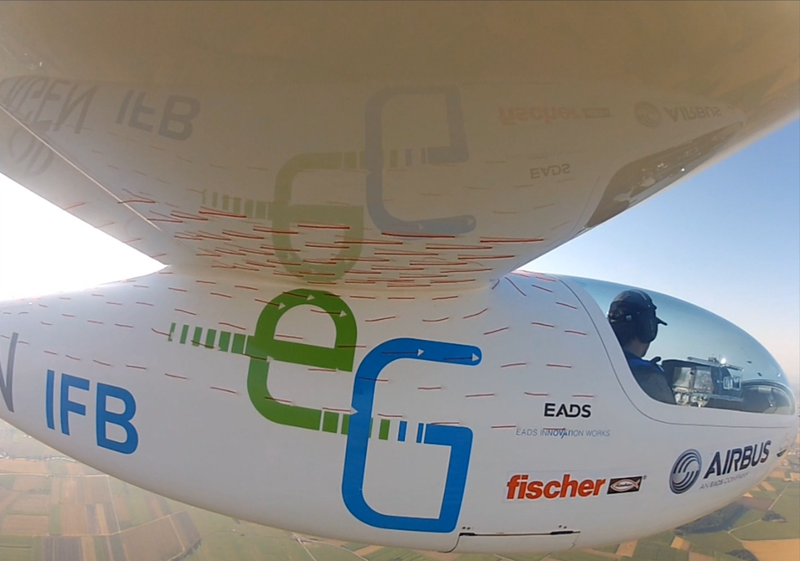 While the airspeed indicator of icaré 2 was near red line, e-Genius flew at the necessary safety margin above stall speed. Great news! 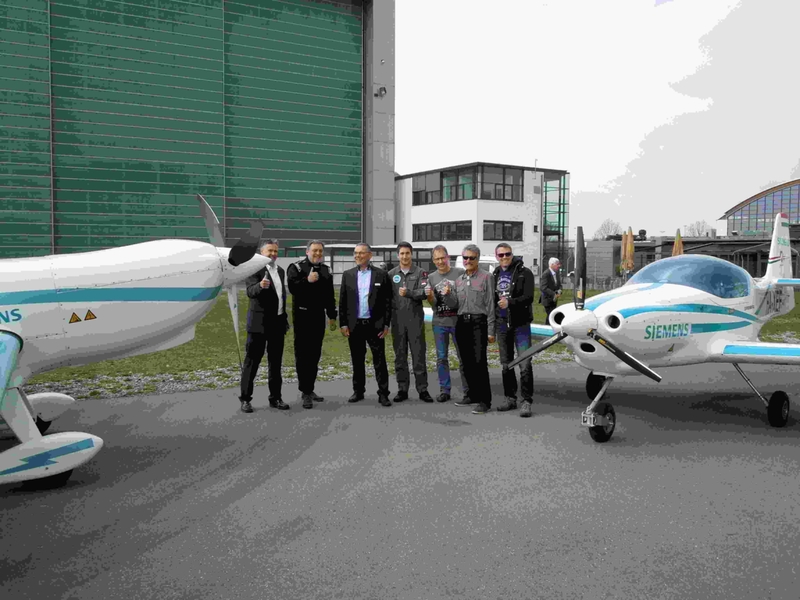 We won the Green Speed Cup in Strausberg and set new benchmarks for the range of battery-powered aircrafts! 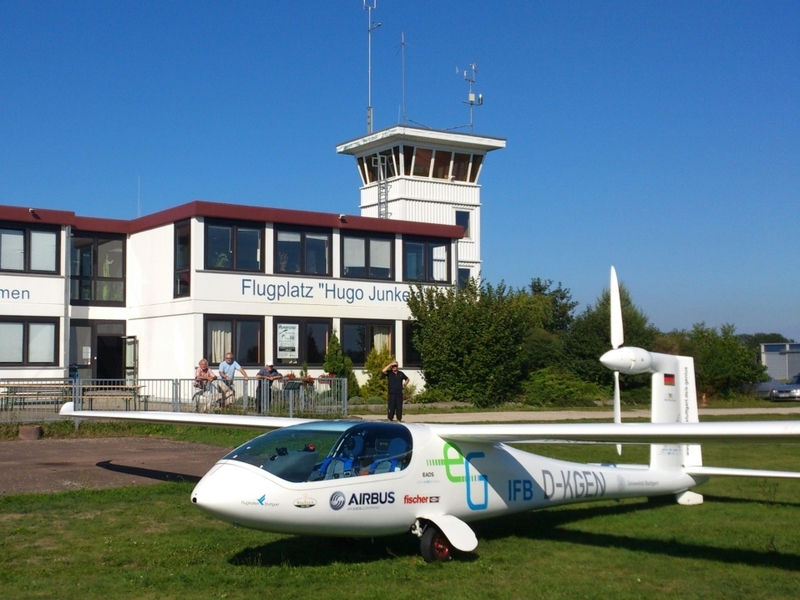 On 5th of September, e-Genius flew from Pattonville to Strausberg (total distance 592 km) with a stop in Dessau (Link). 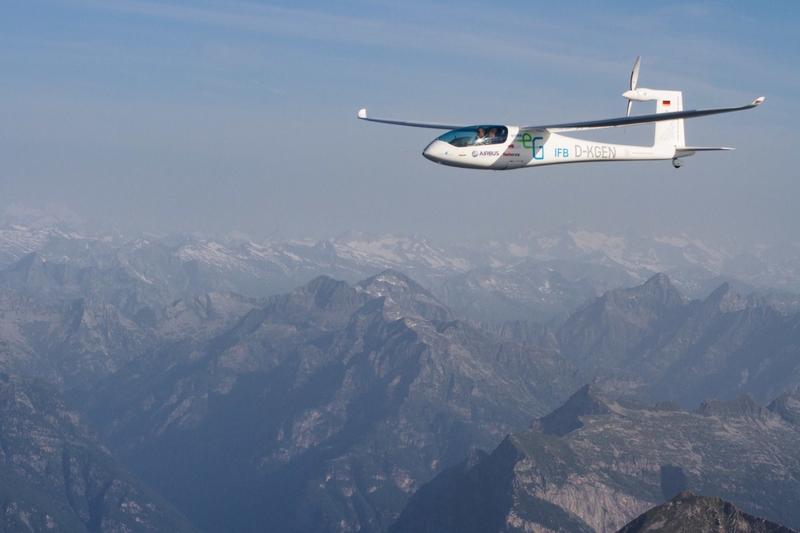 The first leg with its 393 km is the longest cross-country flight with a battery-powered airplane. 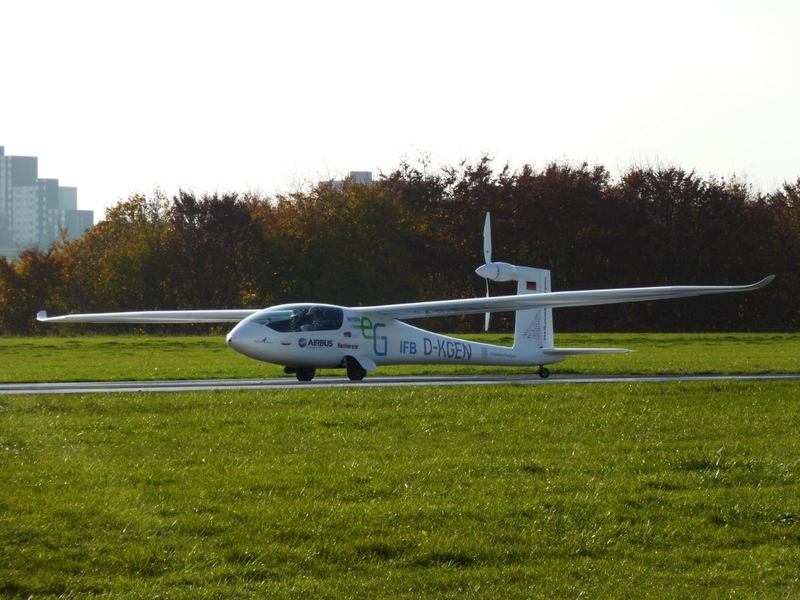 At the first competition day of the Green Speed Cup, we then set yet another range record for e-Genius, covering a triangle of 404.9 km in 2 hours 40 minutes and landing with a 30-minutes reserve (Link). 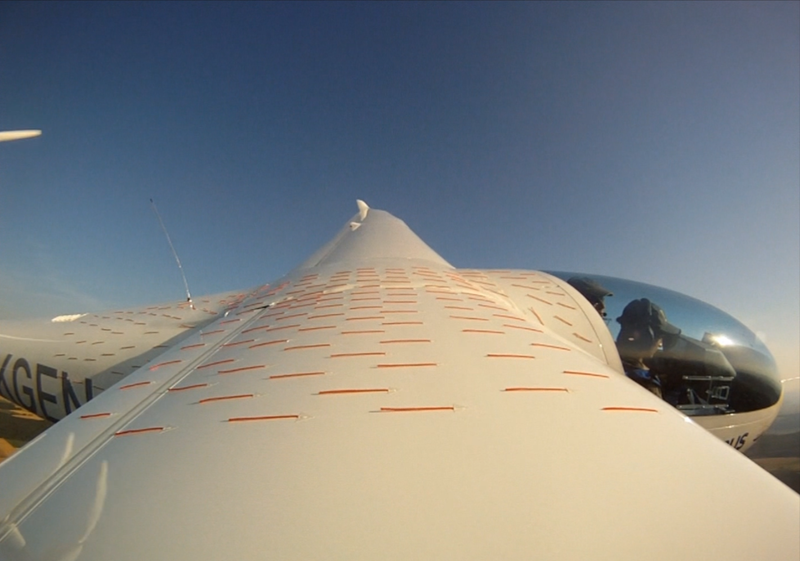 Weak thermals (~1 m/s) and a constant wind (25 km/h, head- and tailwind) underline the performance of the aircraft. Finally, after three competition days, we won the Green Speed Cup! The distribution of the points (Link) shows the advantages of a sophisticated electric aircraft design. The competition is documented in a short clip which was broadcasted in German television. In the last months e-Genius was updated to improve reliability and maintenance items. Most of the work which was done is not very apperent like new wiring and cable protection. 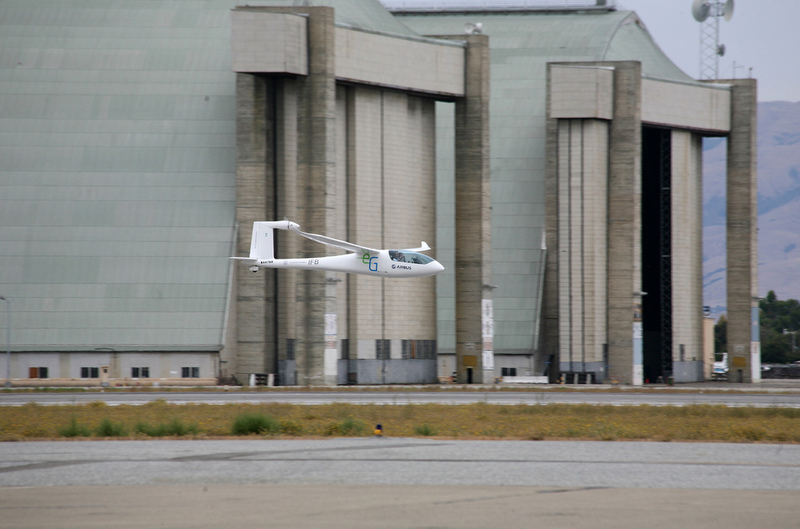 But we are very proud that e-Genius which is still a prototye research aircraft is now on a new level in terms of suitability for everyday use. 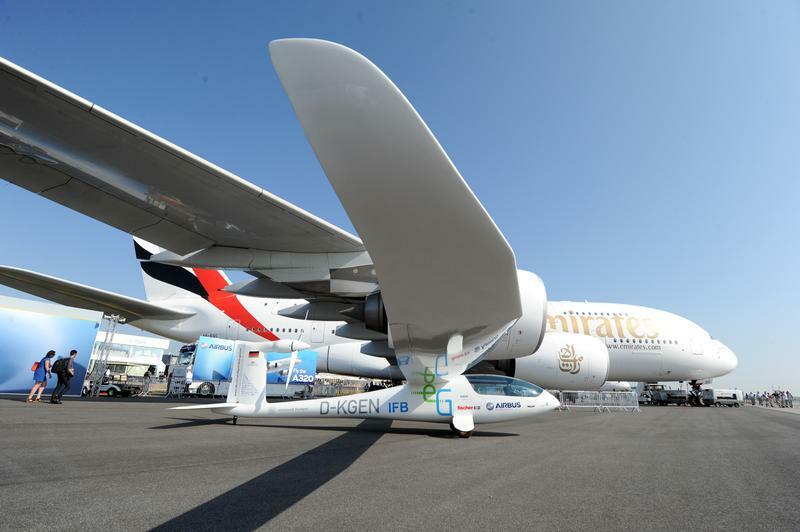 The e-Genius team took part at this year´s ILA Berlin Air Show from 11 to 16 September 2012. 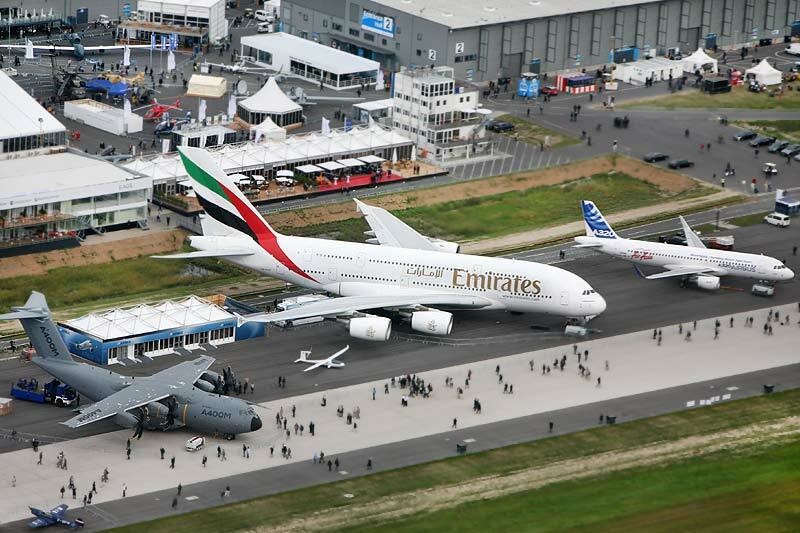 The e-Genius was presented at the Airbus stand next to the A380 where it appealed to a large audience of both specialist and private visitors. 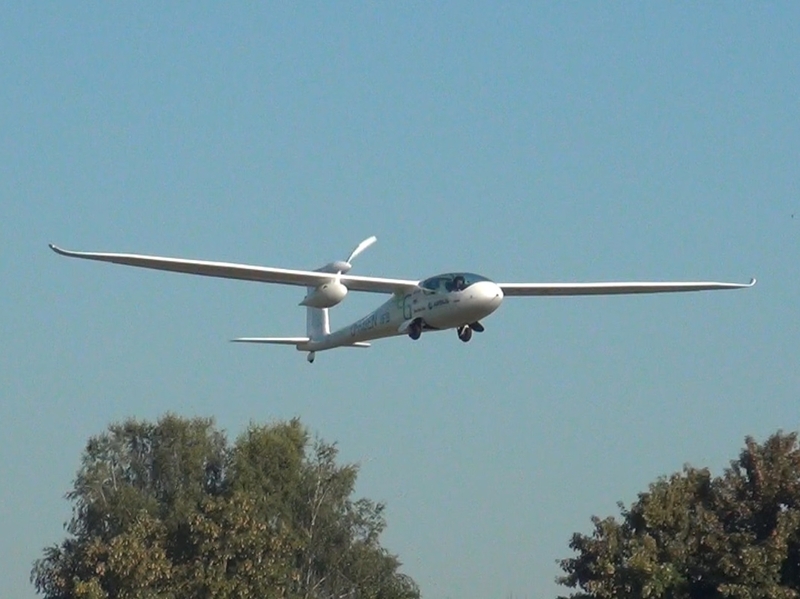 After the towing by a motorized plane, the e-Genius glided to compare its gliding performance to the DG 300/17 of the DLR (German research centre for aeronautics and space). 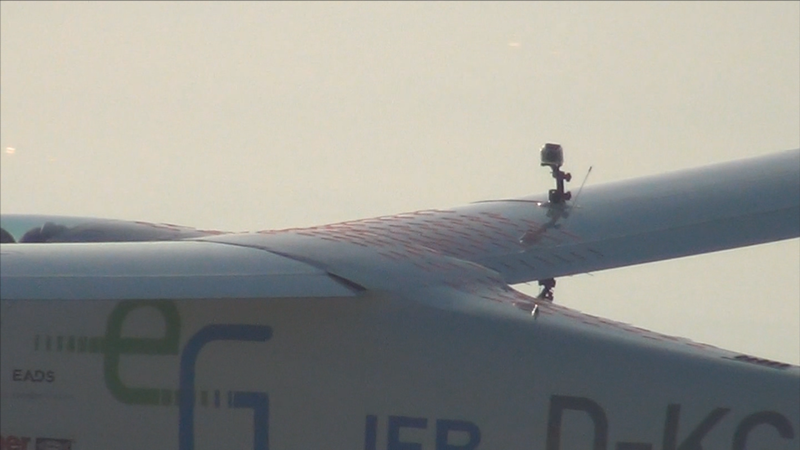 This is the video of the flight test campaign without propeller to determine the lift - drag ratio of the e-Genius airframe. This campaign was realized during IDAFLIEG summer meeting near Aalen, 70 kilometres west of Stuttgart. See the pictures below to get a nice impression of this flight test! Sincere thanks are given to IDAFLIEG for their support! On the occasion of the tribute to five e-Genius key team members (see article below), a short movie gives information about our "Übermorgenmacher" awardees. During this five minute report you will also see some exclusive clips taken during the construction period and the flight tests. 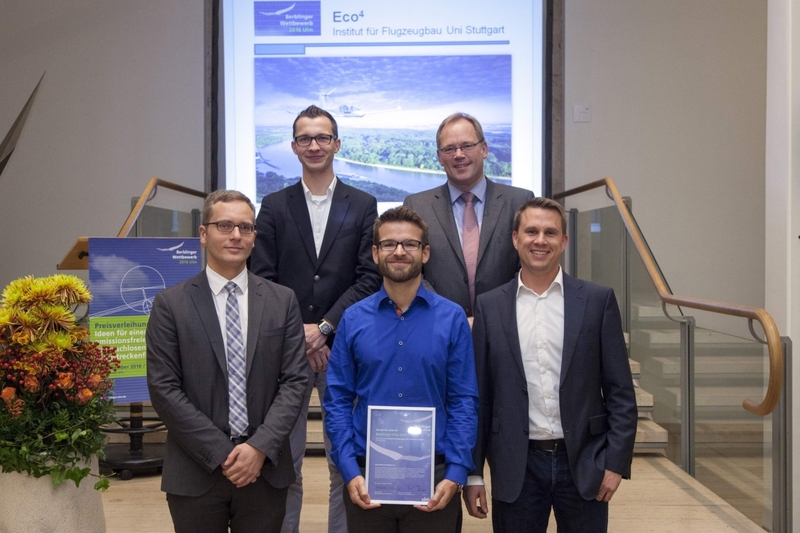 The state of Baden-Württemberg honours leading engineers of our team for their new concepts for innovative and ecological flying. 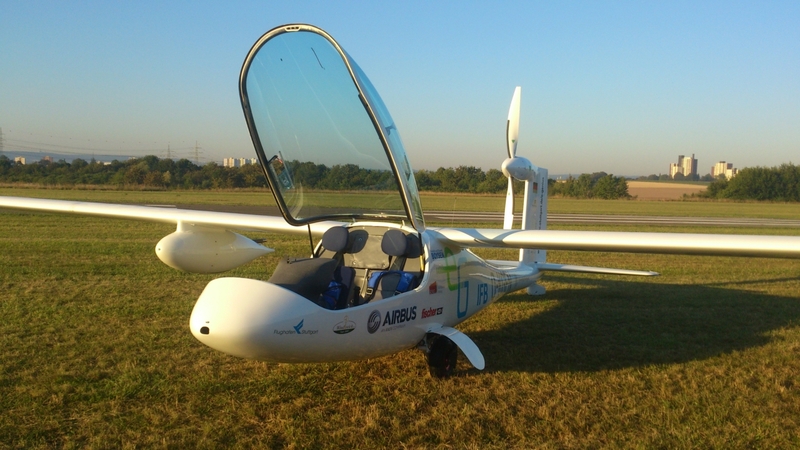 "The competition aircraft e-Genius is probably the most modern electric aircraft at present, unmatched by the competitors concerning speed, energy consumption and noise exposure. Today, we not only honour the idea, but rather the sensational performance of the team around Professor Voit-Nitschmann." All in all, there have been 500 applicants for the prize. The jury honoured 60 persons, it is remarkable that five of them are from our team! Please click on this link to see the official "Übermorgenmacher" website (only in German). 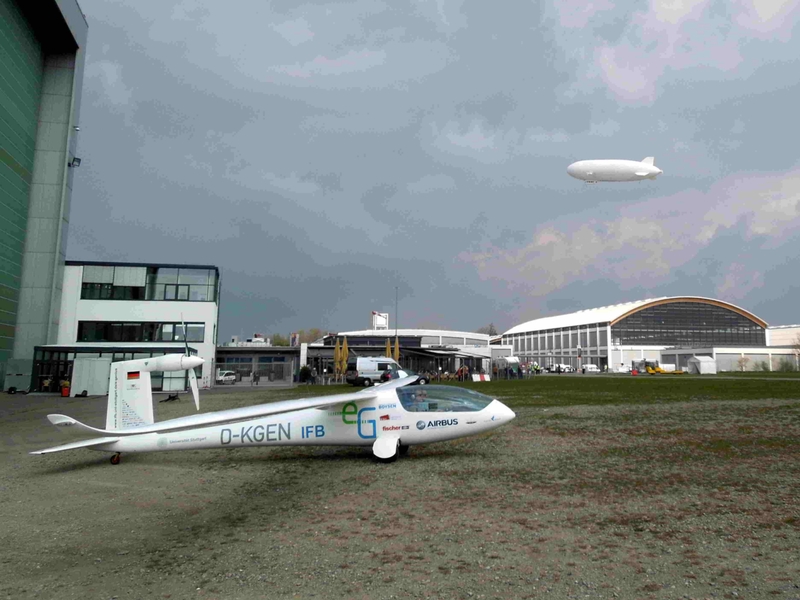 e-Genius was towed by a Piper Pawnee in Grabenstetten, Germany, as a first test for the gilder polar campaign. As you can see towing nearly 900 kg from a gras strip is a lot even for a Pawnee. We would like to say THANK YOU to the FLG Grabenstetten for supporting our e-Genius test campaign. Due to the "Wednesday-landing" on this video we found out that our landing gear dampers had to much pressure. With the help of LTB Kiener Flug in EDPA we have refilled them. On normal e-Genius landings the tail wheel always touches the ground first so we could improve the landing comfort with this action. The e-Genius team is very happy about this successful result. We want to thank all the sponsores and supporters for their help making the e-Genius project possible and that successful.